The region’s tourism offerings were showcased before the more than 25,000 participants at The Original LGBT Expo NY; nearly three hundred people expressed an interest in traveling to the destination. 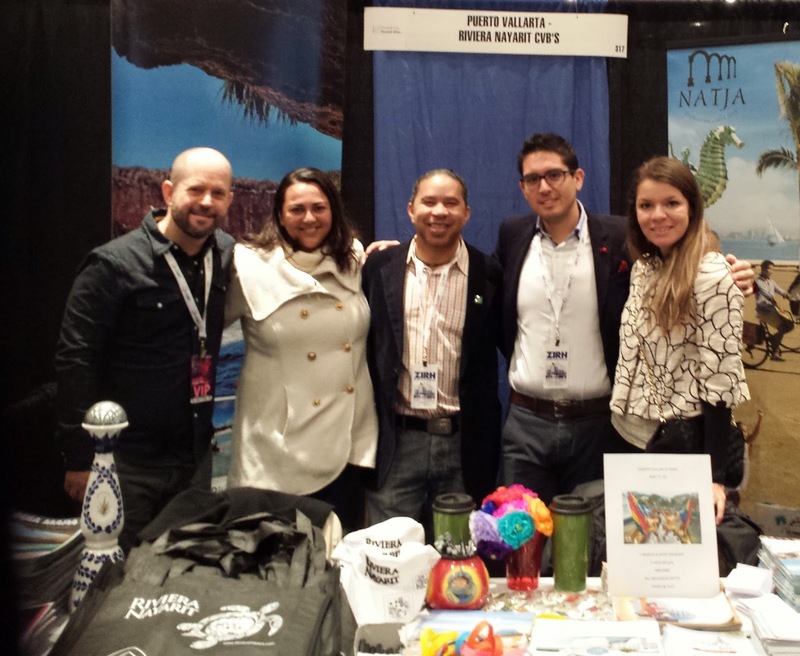 As part of the Riviera Nayarit Convention and Visitors Bureau’s (CVB) Sales and Promotions Department’s ongoing market diversification program—worked in conjunction with the Public Relations Department—the teams participated in the 21st The Original LGBT Expo NY from February 28th through March 1st. The New York expo was attended together with the destination of Puerto Vallarta; the event was directed exclusively towards the Lesbian Gay Bisexual Transsexual (LGBT) market, which attracted some 25,000 participants looking for new tourism destinations to visit. The team had contact with at least 300 people interested in spending their vacations in the destination. It’s important to point out that the majority of the attendees enjoy a high purchasing power, which is in line with the luxury infrastructure offered by the Riviera Nayarit. For the Riviera Nayarit this is an emerging market that it needs to continue consolidating for events including symbolic weddings, honeymoons and/or large group visits, as is already happening at the Hard Rock Hotel. The micro destinations of Sayulita and San Pancho were of great interest for their unique characteristics, as they are sophisticated towns with open minds and offer alternative options for entertainment and relaxation. One of the benefits of the Riviera Nayarit as far as market diversification is concerned is that it offers a wonderfully wide variety of options offered by its more than 23 micro destinations, which makes it the ideal vacation spot offering something for everyone.